The James River Association, in partnership with Robert E. Lee and Thomas Jefferson Soil and Water Conservation Districts, will be planting 3,000 native tree seedlings at eight farms in Albemarle, Amherst, and Nelson counties this spring with volunteers as part of the James River Tree-Athlon. Sediment pollution continues to be a significant and long-standing threat to the water quality of the James River. Through a multi-year grant funded by the National Fish and Wildlife Foundation, the James River Association is working with the Chesapeake Conservancy, and Soil and Water Conservation Districts to reduce sediment in tributaries of the James River through cattle exclusion fencing and restoring riparian buffers, or vegetated areas along waterways, in targeted areas to have the greatest impact. Keeping the James River and its tributaries cow-free, not only reduces sediment and bacteria from entering our waterways, but also keeps cows healthy and safe. A diverse and healthy riparian buffer plays a large role in pollution reduction, stream health, and provide vital wildlife habitat corridors. Many of these farms are installing both of these practices that get us closer to a cleaner James River. Volunteers are needed to help plant the tree seedlings at various locations throughout March and April. No previous experience is necessary. All tools and instruction will be provided. 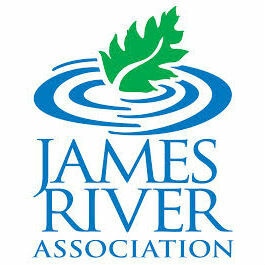 The James River Association will host a thank you event for volunteers at James River Adventures in Amherst County on May 19th. This fun day on the river will include lunch and a paddle or tubing trip. Each volunteer that participates in a tree planting day will receive one voucher for a free river trip to be used at the event or on a later date. Volunteers can sign up by visiting www.jrava.org/james-river-tree-athlon.